The unplanned but precisely timed visit of Dr. Davutoglou, Minister of Foreign Affairs of Turkey, to Turkish Republic of Northern Cyprus caused a political turbulence in the Greek side of Cyprus. The UN acquis of Cyprus, produced with a fine work from the basics of the talks lasting since 1968, defines the target solution as “bi-zonal, bi-communal federation with political equality, as defined by relevant Security Council resolutions. This partnership will have a Federal Government with a single international personality, as well as a Turkish Cypriot Constituent State and a Greek Cypriot Constituent State, which will be of equal status”. While Turkish Cypriot side is seeking and insisting on a Federation composed by two equal constituent states, the Greek Cypriot side is willing to keep the existing Republic of Cyprus and convert it to a federal republic by altering some of the existing laws and some items in the constitution. The Greek Cypriots are not willing to accept the Turkish Cypriots with equal rights to the new republic as partners and share equally the governance and the power of the Federal Government. To build up pressure on Turkey and by the help of Turkey on to President Eroglou of TRNC, to change his attitude on the matters related to sharing governance and power and to break down his firm stance, Greek president Mr. Anastasiades sent official letters to major powers, such as the US, EU, UN and the UK to built up pressure on Eroglou via Turkey. This strategy was successfully exercised at the UN Security Council during the discussions on sending UN troops to Cyprus after the fierce and brutal attacks of Greek Cypriots to Turkish Cypriots. Within a short time Turkish Cypriot were forced to evacuate 123 villages scattered all around the Cyprus island and their homes, barns, cattle and grains were looted, burned and torn down to the ground. The village called Arpalıklı in Turkish and Agios Sozomenos in Greek, located north west of Akıncılar or Lourigina, with in the Nicosia district, can even prove toda what was done to Turkish Cypriots during the dark ages, covering the period starting from 21.12.1963 to 16.08.1974. Turkey, on April 1964 applied to UN to stop the bloodshed in the island and requested from the UN to save the lives of Turkish Cypriots. During the negotiations at the UN Security Council, Mr. Rauf Denktash, who was then the President of the Turkish Cypriot Communal Chamber, insisted the term “UN consulting with the Constitutional Cyprus Government” to be used in the resolution 186 of March 4, 1964. When the negotiations were almost locked, USA interfered and relevant diplomats called Mr. İ. İnönü, the then Prime Minister of Turkey, to press on Mr. Denktash to change his attitude. Prime Minister İnönü did as instructed and the wording ” UN consulting with the Cyprus Government” took place in the resolution. The then President of the Cyprus Republic Archbishop Makarios, without losing even a single second right after the official release of the resolution 186, abolished Greek Cypriot Communal Chamber, kicked out the Turkish Member of Parliaments from the House of Representatives by force and get hold of the Cyprus Government. After this notorious resolution, Greek Cypriots turned the 1960 Cyprus Republic, where the Turkish Cypriots were constituent partners, into a solo Greek Government. They did the same thing tens of times during the Cyprus negotiations since 1968. The latest practice was on the stage couple of weeks before. Greek Cypriot leader Mr. Anastasiadis, locked the negotiations himself, blaming Mr. Eroglou, the president of TRNC, on his firm stand concerning the “sovereignty” and the term “constituent state”. To carry on the blame game, Mr. Anastasiades sent official letters to the leaders of Major powers and EU to build up a pressure on Turkey, to use it’s influence on Mr. Eroglou, to accept Greek proposals. 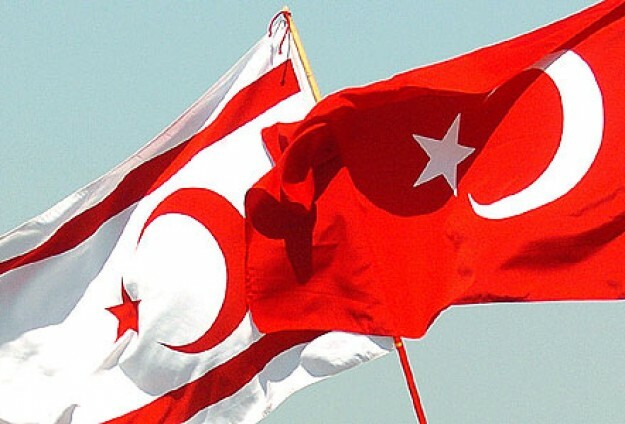 Turkish Cypriots no more willing to live under the Greek Yoke after the bitter experience they exercised during the dark ages, between 1963 to 1974, when they were almost exterminated by the in human genocide exerted by the Greek Cypriots. 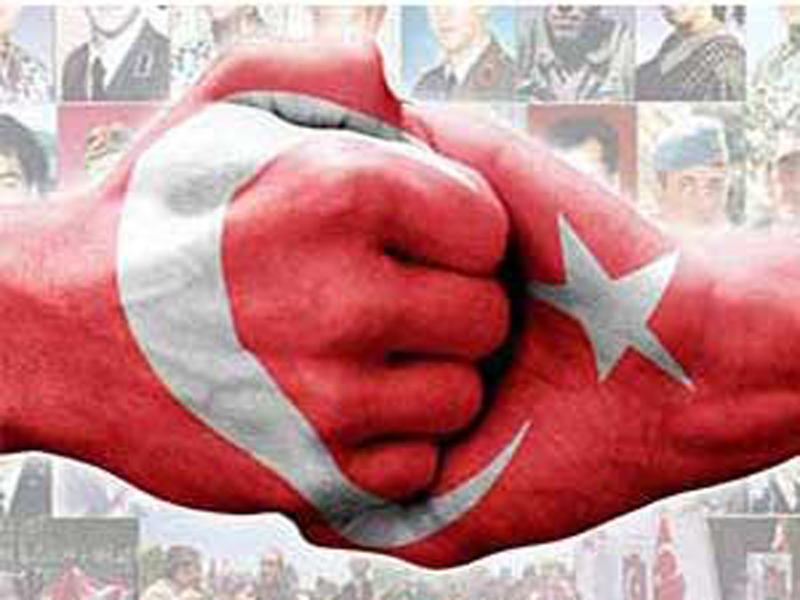 This time Turkish Politicians did not take into consideration the pressures originated from UN, EU and Major powers, based on the request of Mr. Anastasiadis and backed up Mr. Eroglou firmly. 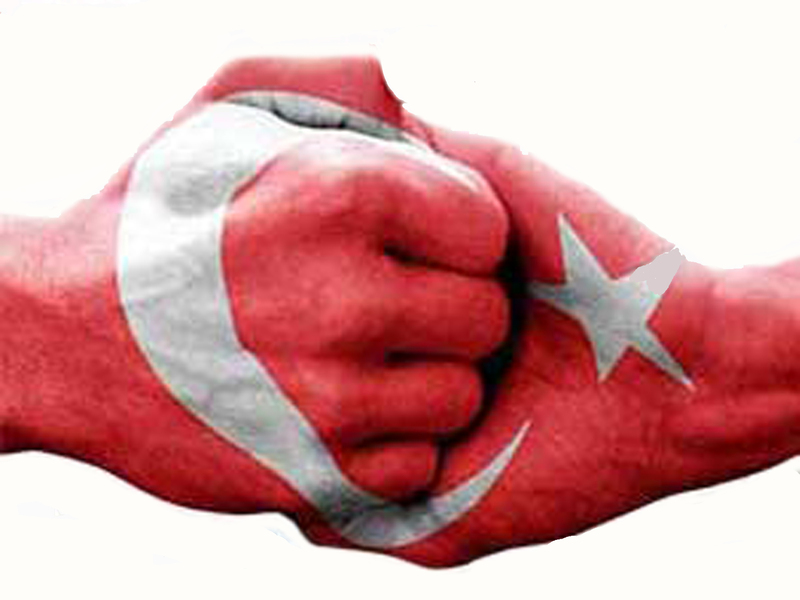 The statement of Dr. Davutoglou, Minister of Foreign Affairs of Turkey, after his meeting with President Eroglou, clearly mentioned that Turkey and TRNC are both willing to continue on negotiations based on the UN acquis of Cyprus, stating ” … Federal Government with a single international personality, as well as a Turkish Cypriot Constituent State and a Greek Cypriot Constituent State and no constituent state will have the power to dominate the other”. This declaration really hit the Greek Cypriots to the quick, as their intention is still not to form a newborn “United Federal Cyprus Republic” by the formation of the Turkish and Greek Constituent States, but to keep the Cyprus Government as it is and to bestow some rights little bit more than the minority rights to Turkish Cypriots, with no political equality.